Glossier Clean Blogger Template. A new out of the box modern blog template. Glossier is clean, minimalist beautifully crafted simple theme. It satisfies every blogger needs whether he/she is a fashion Stylish blogger, Life Style Expert, photographers or just Outfit of the day Blogger, Media Agency, Tech Blogger and many other.It comes with some cool new layout and features like Dropdown Menu Bar, Recent post widget, Label post widgets. You can setup theme very easily manner with our helpful documentation.! 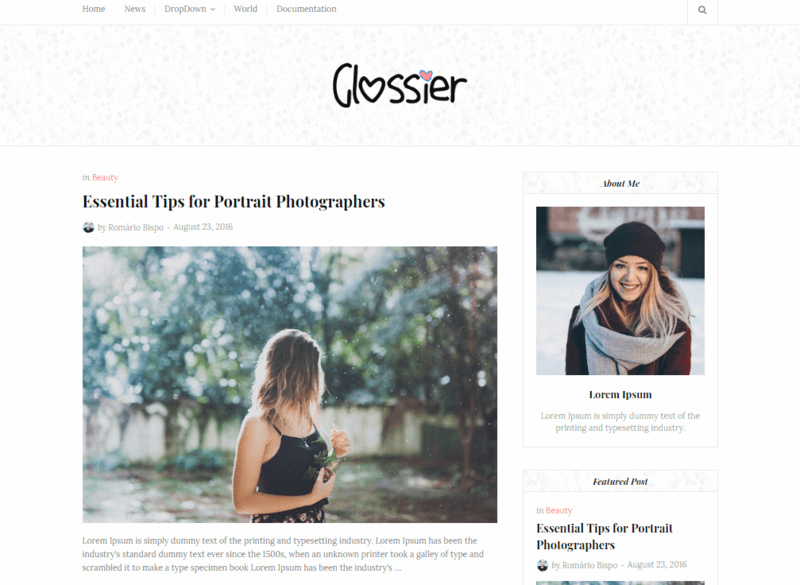 Following are some of the key features of Glossier blogger template.